“Hunt for the Wilderpeople” (2016). Cast: Sam Neil, Julian Dennison, Rima Te Wiata, Rachel House, Oscar Kightley, Rhys Darby, Stan Walker, Mike Minogue, Cohen Holloway, Taika Waititi, Tioreore Ngatai-Melbourne, Troy Kingi, Hamish Parkinson. Director: Taika Waititi. Screenplay: Taika Waititi. Book: Barry Crump, Wild Pork and Watercress. Web site. Trailer. Ricky Baker (Julian Dennison), a troubled city teen, has led a checkered life. Having been raised on hip hop culture while being shuffled from one foster home to another, Ricky has perpetually wound up in trouble, guilty of a litany of minor (and not-so-minor) offenses. 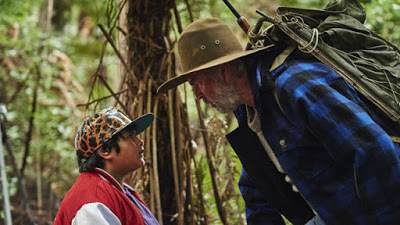 So, with his options running out, he’s given one last chance to shape up when his no-nonsense child welfare officer, Paula (Rachel House), places him in the care of an aging rural couple, Bella and Hec Faulkner (Rima Te Wiata, Sam Neill), who live on a ramshackle farm on the fringe of New Zealand’s bush country. Bella warmly welcomes the new arrival, but the cantankerous Hec could just as easily live without another mouth to feed. For someone accustomed to urban life, these new circumstances seem like a sentence to a gulag, at least initially. However, for the first time in his life, Ricky receives the love and support he’s always longed for, at least from Bella. But, when tragedy unexpectedly strikes, and faced with being compulsorily removed from an environment he’s growing to like, Ricky takes off into the bush, seeking to fend for himself. Not long after making his escape, though, he’s tracked down by Hec, who threatens to return Ricky to the authorities to avoid getting into trouble himself. Those plans are quickly derailed when Hec injures his foot, barely able to move, necessitating a lengthy recovery in the wilderness. This development forces the duo to get creative to survive – and gives the unlikely pair a chance to come to know one another. When child welfare comes to collect Ricky for relocation and finds him missing, a manhunt for the absent teen begins. That effort intensifies when erroneous rumors about Hec’s allegedly inappropriate relationship with Ricky begin to circulate, turning the search into an all-out dragnet. Authorities from various government agencies significantly ramp up their game, exercising their powers as if on steroids, employing an almost comical dogmatism. But, no matter how oppressive the powers that be try to become, they’re outsmarted at every turn by the resourceful “fugitives,” thanks to their ingenious tactics, coupled with the help of a sympathetic teen who has eyes for Ricky (Tioreore Ngatai-Melbourne) and a wily, somewhat unhinged, off-the-grid conspiracy theorist (Rhys Darby). Will Ricky and Hec evade capture and live their lives as they will? Or will they succumb to those seeking to take away their freedom? That’s the story that plays out with raucous humor and an array of wildly unanticipated developments. 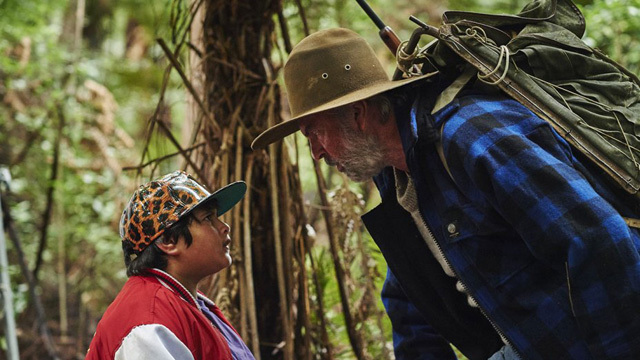 Troubled teen Ricky Baker (Julian Dennison, left) and cantankerous bush farmer Hec Faulkner (Sam Neill, right) make an unlikely duo on the run in the offbeat new buddy/road trip comedy, “Hunt for the Wilderpeople.” Photo courtesy of The Orchard. While many of us may not always appreciate the choices open to us, we nevertheless relish the notion having them, railing at matters over which we feel we have no say. We cherish our independence , a sentiment that tends to grow stronger when we feel the nooses tighten around our necks. And, given their circumstances, it’s no wonder Ricky and Hec react as they do. With the manhunt for them geared up in full force, one might think that their luck is going to run out. Yet the duo obviously believes so strongly in their freedom that they successfully manifest the conditions that preserve it. 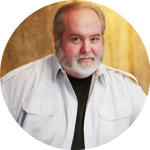 This illustrates their skill with wielding the conscious creation process, the means by which we materialize the reality we experience through the power of our thoughts, beliefs and intents. In many instances, Ricky and Hec appear to be backed into corners with little hope of escape. Yet it’s in those moments that their ingenuity for coming up with inventive solutions truly shines. It really shouldn’t come as any surprise, though, since pushing through our self-imposed limitations is one of the chief aims of the philosophy, and, considering the pair’s proficiency with it, they’re obviously as adept at this aspect of it as they are with all the others. Their manifestation aptitude also sparkles when they need to come up with the means for their survival, such as finding food and shelter. When seemingly backed into corners in these regards, Ricky and Hec always come through for themselves. Sometimes their creations don’t follow conventional forms, but they’re nevertheless adequate to meet their needs. We should all be so proficient at this. 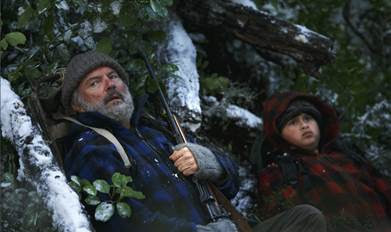 Going into the bush to escape the authorities requires “fugitives” Hec Faulkner (Sam Neill, left) and Ricky Baker (Julian Dennison, right) to hide out in all kinds of weather conditions, as seen in director Taika Waititi’s hilarious new road/trip/buddy comedy, “Hunt for the Wilderpeople.” Photo courtesy of The Orchard. To a great degree, Ricky and Hec succeed because they work together for mutual benefit. The act of co-creation, where we pool our collective metaphysical efforts to achieve our goals, can work wonders under the best of circumstances, but they can prove positively essential when faced with dire conditions. Again, we could all take a lesson from the practices on display here. The ability to effectively co-create proves to be a valuable skill, too, especially when it comes to using our manifestation wherewithal to bring about social change. The initiation of sweeping public movements requires the belief input of the masses, which means we all need to be on the same page of the materialization playbook.  In this case, the protagonists face the subtle but nonetheless noticeable presence of an increasingly intrusive state, one that insists it knows what’s in the public’s best interests, whether or not that’s true. Beliefs that may have begun with the best of intentions, as portrayed here, have turned dogmatic, transforming well-meaning social welfare programs into instruments of social control, institutions that, in some cases, are wisely resisted. Ricky and Hec demonstrate that for us, showing that the powers that be don’t always know best. Thankfully, these notions are presented satirically in the film, without a heavy-handed touch. That keeps things light for viewers, but it makes its point nevertheless, one that we’d be wise to heed. Despite some occasionally uneven pacing, this novel twist on a familiar genre provides lots of rollicking laughs and heartfelt moments, all of which are very deservedly earned. The carefully crafted chemistry of the seemingly mismatched leads works from start to finish, thanks in large part to filmmaker Taika Waititi’s skillful direction and deftly handled writing. Throw in some gorgeous cinematography and sprinklings of subtle but recognizable social commentary, and you’ve got a winning formula for one of the year’s best independent comedies. 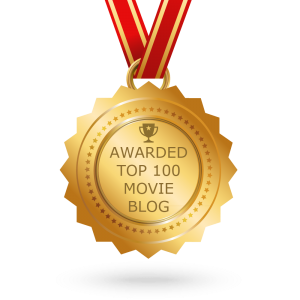 The film skillfully weaves in dialogue and visual homages to a number of other films, often heightening the humor. Viewers will recognize numerous references to the “Rambo” and “Terminator” franchises, as well as cinematic allusions to the “Mad Max” series and even “Thelma & Louise.” These tributes are adeptly scattered throughout the picture, punctuating the laughs but never becoming overpowering. Preserving our power of choice and pushing our abilities to burst through barriers are crucial to maintain the life we want, especially in the face of polite coercion and imposing limitations. Doing so may even require us to become “wilderpeople” of our own when circumstances warrant. But, in the end, the effort will likely prove worth it – especially when we consider the alternatives. Ricky and Hec understand this and show us how their efforts are vital and valid. And there’s nothing bush league about that.